Diablo's 15 year Anniversary Surprise "Soon". It looks like bashiok over on twitter replied about when we will get our surprise. It'll be ready early this week. 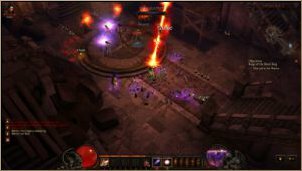 Apoc has written a small article on map generation in diablo 3, expect to hear some more on this subject! 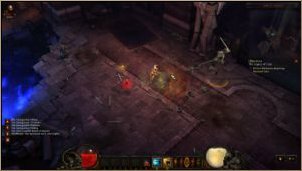 The "randomized" map generation has always been a defining feature of the Diablo series. 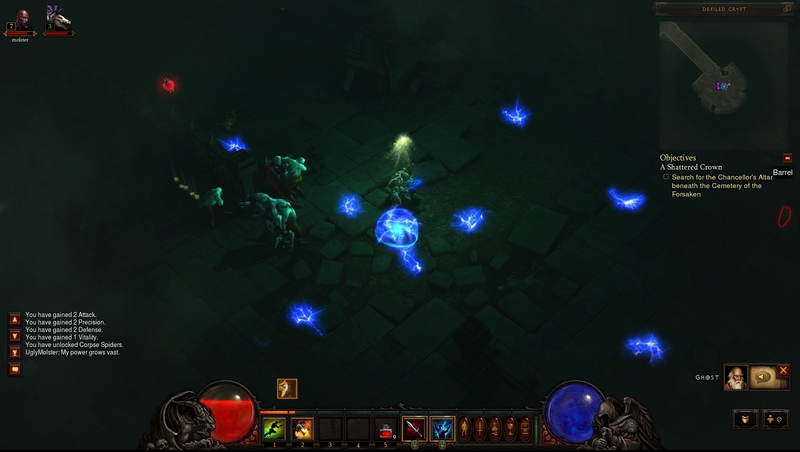 In Diablo III, there's basically three types of layouts: Exact, Fixed border, and Variable. Examples of the "Exact" would be places like New Tristram or the Defiled Crypt Level 2 where the layout will always be the same. "Fixed border" areas, like The Weeping Hollow, will always have the same shape and size, but the tiles inside can be arranged differently. "Variable" layouts are built by taking map tiles and connecting them together, which can produce unpredictable arrangements but still follow some consistency. The selection of monsters for a given area is determined separately from the map generation, however there are tiles that can spawn monsters to supplement that. It is impossible to get an encounter that introduces a monster where they don't normally belong. For example, there is an encounter that makes 5 Skeletal Archers pop up if you loot a nearby corpse - this encounter can't appear on Cathedral Level 2 because Skeletal Archers don't appear until level 4. Encounters can also reward the player, so it might take a couple runs before you find that Resplendent Chest that always appears on the SW tile (hint, hint). 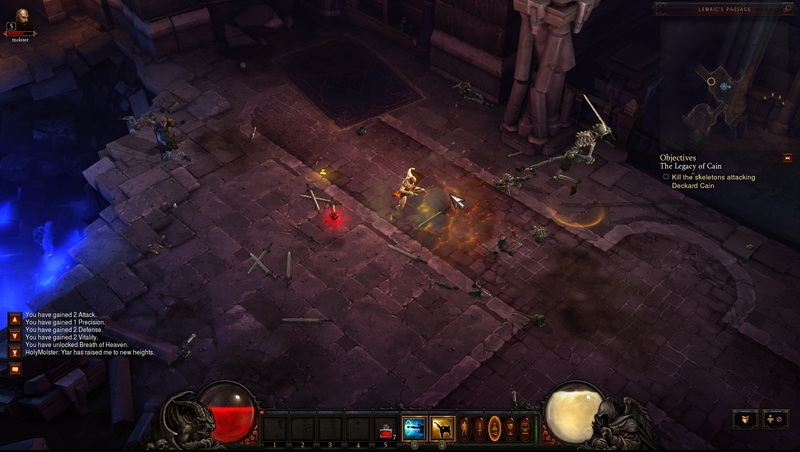 The Variable layout method is used in several maps in the beta including: Defiled Crypts, Cathedral Levels 1, 2, and 4, and the Den of the Fallen. It's the most interesting method because it's not as predictable as the other areas which can translate to a higher replay value. 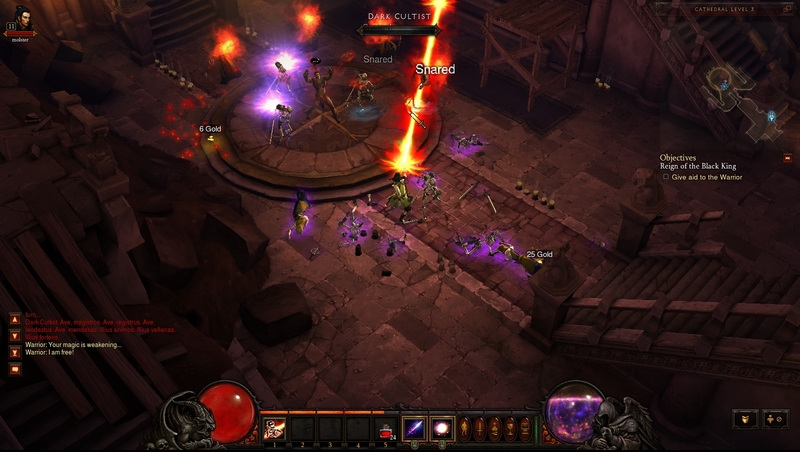 Cathedral Level 4 is a prime example since it's the single largest generated area in the beta. The areas are composed of pre-generated tiles that snap to a grid. Like a puzzle, each tile has to be connected by at least one cardinal point side, where North is the top-right corner of the screen. Usually the tiles are connected seamlessly by doorways or bridges. To correlate with the lore, every floor's map must also have a meteor tile. 1. setup a 3x3 tile grid, leaving out the center tile. 2. randomly pick the placement for an exit tile, entrance tile, meteor tile (m), and 2 extra tiles to any open edge. These tiles cannot replace the tiles in step 1 nor attach to themselves. 4. if the meteor tile is placed on the outside of the ring in step 1, then one of the extra tiles in step 2 must be attached to its end. This consistently produces a map of 14 tiles (or 13 if the meteor tile ends up in the center). 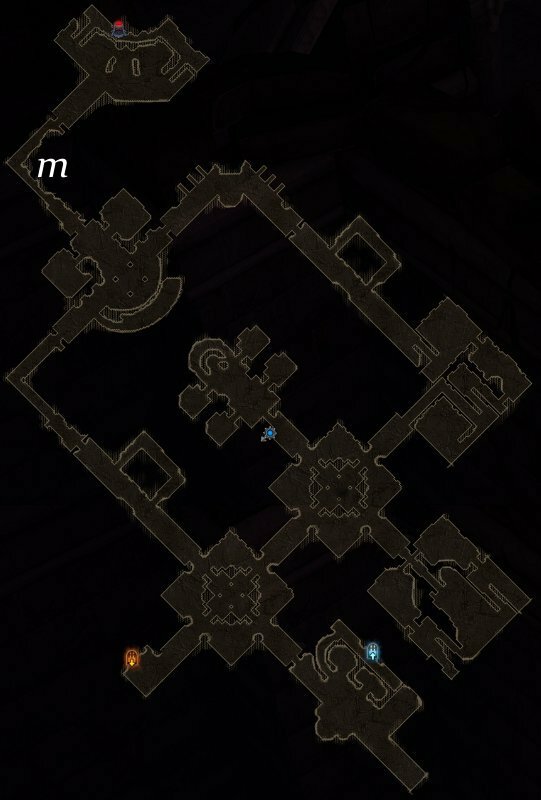 The other levels of the Cathedral and Defiled Crypt use different algorithms and are about 1/4 the size. It's likely that each level will have its own set of rules for generation, and the algorithm behind the present ones may yet change before release. I imagine it will become important to understand the generation process behind these maps, since it definitely makes players more efficient navigators and as a result more efficient farmers. and here are todays new beta screenshots! What could 'it' be? I don't think they would refer to a wallpaper as 'it' which is the usual bonus. 'it' implies something bigger, like for example, A RELEASE DATE. I don't really think so, but I do hope, it would be a nice start to the new year. "It" refers to their miniature diablo toy going on sale. no release date, not even a wallpaper. I have a tendancy to overestimate Blizzard's supprises, when will I learn? He has definitely got me thinking release date. It's a new wallpaper with the release date on it, which must be deciphered though (that's the fun part). I would enjoy that very much! I am guessing release date as well. It just fits. exactly ..... don't expect anything not even a little bit! When is this Anniversary ??? It will be a wallpaper that has never been seen by public eyes. The title of the post for it will be titled, "Diablo 3s Release Date Wallpaper" Further along they talk about the process of making D3. A little further they describe what Soon means. Then finally the reveal of the wallpaper ends up being a single date in the middle of February. This wallpaper has one line of text besides this date. That text reads, "Announcement of Release Date." Then everyone screams and and jumps cause they gotta wait another month and a half for the release date announcement until it is delayed by Blizzard due to the wallpaper not being good enough for the date. I don't always burn. But when I do, I use hellfire. We moved from waiting for the game release date to the surprise release date. I almost expect a tweet announcing the surprise is being postponed to the next week. The article about maps is nice and interesting. Well you have it backwards... it is a shocker for them to do this, but the surprise was pushed forward! if his definition of early means wednesday or later then I guess that means 'early 2012' is july or later. While I do agree that we haven't got much information for some time on the development changes around runes (that is, IMHO, the main reason for the delay) and this is a good sign of the release date, the point that if it was a release date then it would be incredibly powerful to announce it at the 15th anniversary it just too compelling. You can always think that they may have not done it due to the holidays, so it wouldn't have the staff ready to make the official announcement, but I think this is not so important. It may be some lore info, action figures, new business models or something like that. Maybe even a movie. Well I'd actually be happy enough with the surprise announcement being a movie. It's no release date but it'll do..